At Jacques, we have a lot to be thankful for. Our family and customers, many of whom have become extended family, have trusted us with their Thanksgiving catering needs for over six decades. 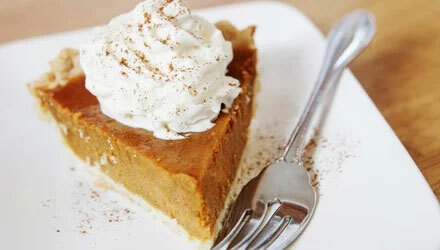 Every pumpkin pie, every antipasto platter—every piece of food that makes its way out of our kitchen and onto a table in your home or workplace reflects our passion for creating delicious experiences that bring people together. From pasta dishes to turkey dinners, we will provide you with a feast that’s more than what you bargained for. We also cater to a wide range of eaters. Everyone is different, which is why we consider all dietary needs and culinary preferences. Our holiday menu was designed with flexibility in mind. A Thanksgiving meal doesn’t have to fill up an entire dining room. We offer packages for all sizes of gatherings and types of events. With options for a full-service dinner or just some ham and a few sides, you’ll find exactly what you’re looking for. We’re some of the leaders responsible for creating “off-premise” catering. And thanks to our loyal client base, we’ve been striving to perfect it over the years. Whether you need Thanksgiving catering for a traditional family gathering or as a wholesome meal at your work site, we’re here to help! We can stop at delivery or bring in the works—linen, china and a skillful staff. Happy, stress-free clients are music to our ears. Our staff is made up of extremely skilled and patient professionals who love to see you light up at the sight of a well-prepared, beautifully presented Thanksgiving spread. Thank you for trusting us with the important people and occasions in your life. Your peace of mind during the holiday season is important to us. That’s why the sooner you place your order, the more at ease you’ll feel on the day of your event. Though we take orders up to 10 days prior to Thanksgiving, we encourage you to book at least a month in advance. 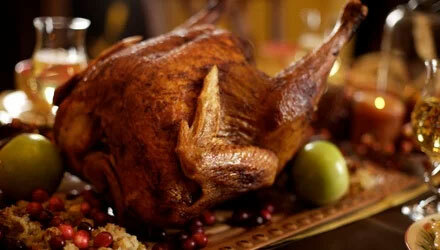 How can we make your Thanksgiving special?